Gorgeous 5BR, 2.5BA Home w/ Brand-New Siding & Updates Thruout! Brand-New Carpet, Flooring & Paint! Master Bedroom w/ Attach Bath. Lower Level w/ Family Room, 2 Additional Bedrooms, Full Bath, Laundry Room w/ Tons of Storage Space & Walks Up to Rear Yard. All Baths Recently Updated. Large Tiered Deck Off Living Rm & Dining Rm. Newer Windows & Tons of Natural Sunlight. Spacious Fenced-In Rear Yard. At least 171 Trulia users voted on each feature. "There are many families in the neighborhood, as well as a good college nearby. There is also plenty of businesses nearby and stores within walking distance." "We hold small business events and tons of stuff for the kids to enjoy. It’s a quaint and cozy little town." "I have no idea what parents should know. I dont really have kids. The houses are nice but the way people drive is scary for me as a dog owner. There's not a strong sense of community here." "Great place to live! Love the area! Great place to start a family! " "4th of July parade 4th of July fireworks Neighborhood pool Friendly neighbors Good restaurants "
"There are many different areas to walk dogs. Sidewalks and lights throughout the neighborhood. People often seen out to walk their dogs and using leashes." "I love the historic areas of downtown Catonsville and Ellicott City & we’re sandwiched in between both areas. We’re only 2-3 miles away from a few Patapsco State Park trailhead entrances, & the shopping (Aldi, Giant) & quick-bite restaurants (Dunkin’ Donuts, Panera, Sorrento’s) on Rt. 40 has been convenient! " "Tons of young families. Everyone is friendly and helpful. The houses are well taken care of. Very convenient to downtown Catonsville and Patapsco." "Catonsville Friday Nights in the Summer are great for getting together with family and friends. The annual arts and crafts festival is another great way. Then there is the Farmers Market on Sunday’s during the warmer months. " "Great community, great schools, with a great walkability for families. Downtown restaurant scene is local and diverse. Close to every major roadway with low commute times. " "Grew up in Catonsville. Great place to live. School district is the best (public and private), Close to DC metro area, and 15 minutes from downtown Baltimore." "I live here, and the walkability can't be beat! I'm so happy I moved to this area- In the summer, Frederick Rd. Fridays are right down the street, new restaurants and coffee shops are popping up, Spring-Fall, the Farmer's Market is a stone's throw away (and it's growing! ), and you can bike/walk to Lurhman Woods for live music in a natural ampitheater! It's a great place to live." "Catonsville has so much to offer for every buyer. Affordable housing, great schools, a wide range of amenities, excellent children activities, historic interests, close to major routes, near BWI without the noise and wonderful caring neighbors." "Good schools, library, restaurants nearby and nice variety of older homes." 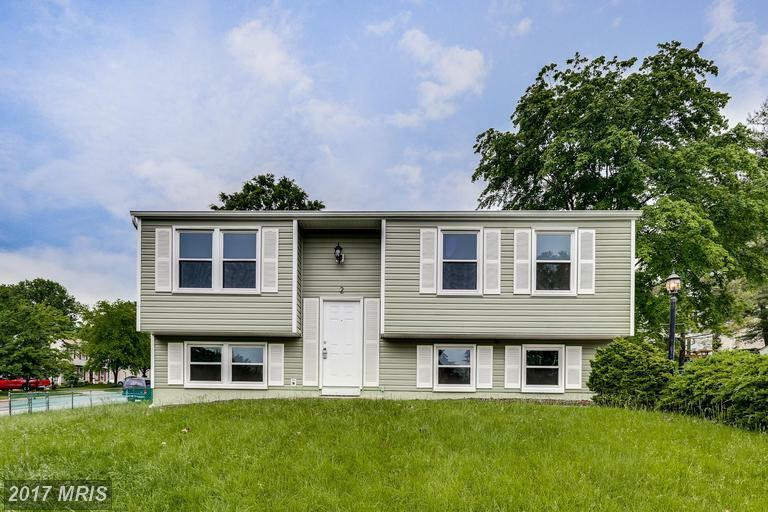 2 Forest Rock Ct, Catonsville, MD 21228 is a 1.5 bathroom, 996 sqft single-family home built in 1975. This property is not currently available for sale. 2 Forest Rock Ct was last sold on Aug 3, 2017 for $290,000 (3% lower than the asking price of $299,900). The current Trulia Estimate for 2 Forest Rock Ct is $277,158.